This morning I was at Wirral’s Licensing Panel to support local residents and the police in opposing two applications in Moreton. First up was the Oasis Newsagents who had applied to sell alcohol from 6am to 11pm every day of the week. The Police objected to the application saying the community was already served with off licences in the area, and in particular by Bargain Booze next door but one. After all the representations had been heard the panel in its wisdom decided to ignore the police advice and grant the premises a licence, but only from 10am to 10pm each day! Chief Constable Bernard Hogan-Howe will be available for a live webchat on the Merseyside Police website on Wednesday 30 January from 9.30am – 10.30am. If you would like to take part in the web chat, you will have the opportunity to question the Chief Constable on issues that concern you about policing in Merseyside. If you are unable to take part in the live discussion, you can submit your question before the chat. It will be placed in a queue for the Chief Constable to answer. Thursday morning I represented residents at a Licensing Hearing, whilst we did not get exactly what we wanted, did reach an amicable compromise. Thursday evening helped with canvassing in Liscard. Friday delivered letters to homes in Moreton regarding the planning applications made by the Grange Pub, and Anderton Concrete and also delivered letters to the Carr Lane area informing the residents of the outcome of the licensing hearing. Friday evening attended the Moreton Baptist Church for the Hope 08 launch. Saturday morning delivered our latest Community Newsline ‘Living Here’, afternoon and evening some very rare family time. This morning met up with my colleagues, Cllr Simon Mountney and Cllr Suzanne Moseley to deliver 600+ ‘Living Here’ Newslines to homes in our communities, also joined by Ian and Simon (fylde), thanks guys. We all had Coffee and Breakfast in Hels Kitchen when we finished. Rest of today, after a bit of shopping with my wife Sandra, I will be replying to my postbag! Last night I attended Moreton Baptist Church with Ian Lewis and Cllr Leah Fraser to learn more about Hope ‘08. Hope ‘08 is a countrywide initiative involving Churches workiing in partnership with various agencies to engage in initiatives that positively impact local communities. Following on from the Merseyfest initiative in the summer of 2005 when local churches joined together to refurbish the outside of Moreton Youth Club, clearing the garden area of the Adult Training Centre and inviting the whole community to a couple of free BBQs, 2008 is to be a year of focused, co-ordinated initiatives seeking to bring Hope to our community – Moreton. Events are being planned to take place throughout the year, culminating in an open air Christmas Carol service to round of the Hope ‘08 celebrations. For further information about future events email: hopemoreton@hotmail.co.uk or join the Facebook Group ‘Hope’08 Moreton’. Join us! We have launched our recruitment campaign for 2008 and aim to sign up 66 new members by the end of the year. Every new member makes us that bit stronger. To join, download the application form here or join online here. 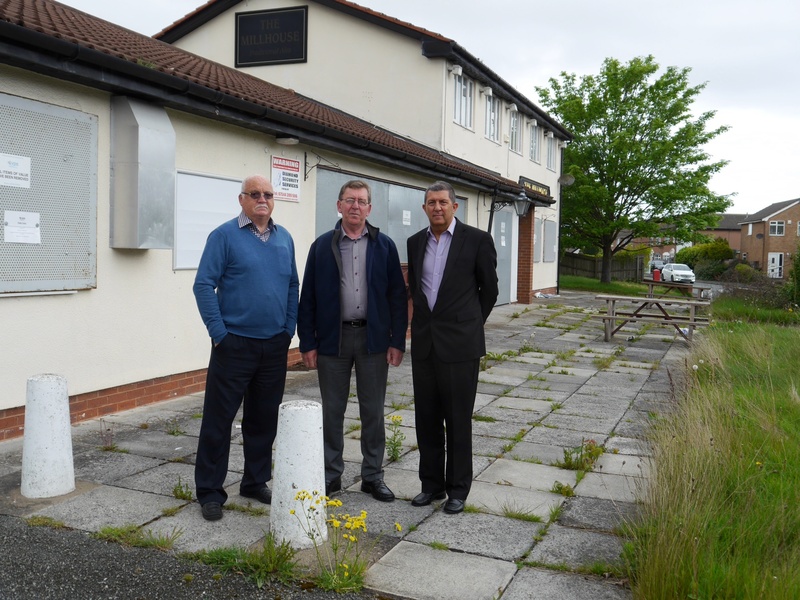 Yesterday, along with local residents I was at Wirral Magistrates Court to hear the appeal made by the Grange Pub on Hoylake Road. The pub was appealing against the Council’s Licensing Panel who had said that the outside area to the front could not be used as a smoking area after 10pm. The outcome was that local residents, negotiated through the legal people on both sides, to allow a small demarkated area to the front of the pub Right of the front door) to be used for smoking only after 10pm until the premises closes. On no account will any customers be allowed to eat or drink outside the premises after 10pm at night. Whilst the solution is not ideal for either side, it is a compromise that can be lived with by both.